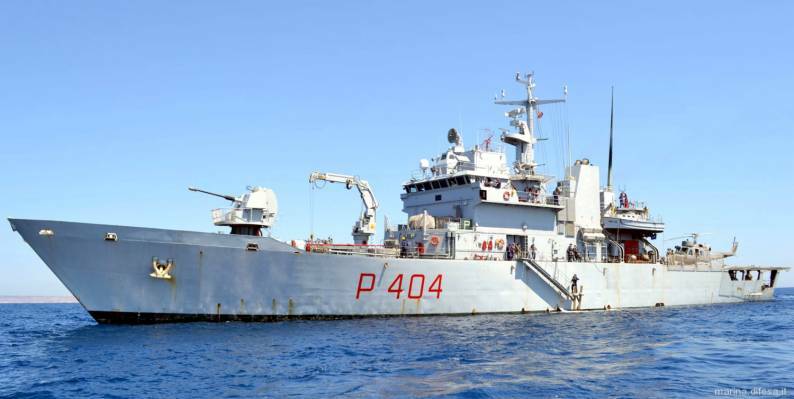 The Cassiopea class is a series of four patrol vessels of the Italian Marina Militare. They were built in the late 1980s on civilian standards. They are designed for patrol in safe areas. 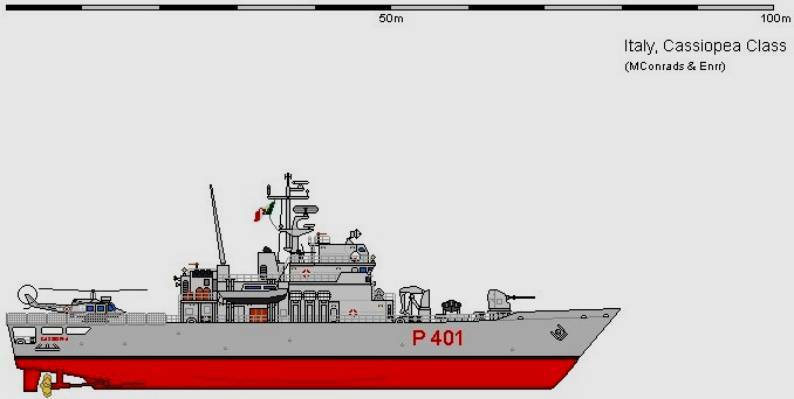 In the early 1980s the Italian navy developed two classes of corvettes to replace older vessels. 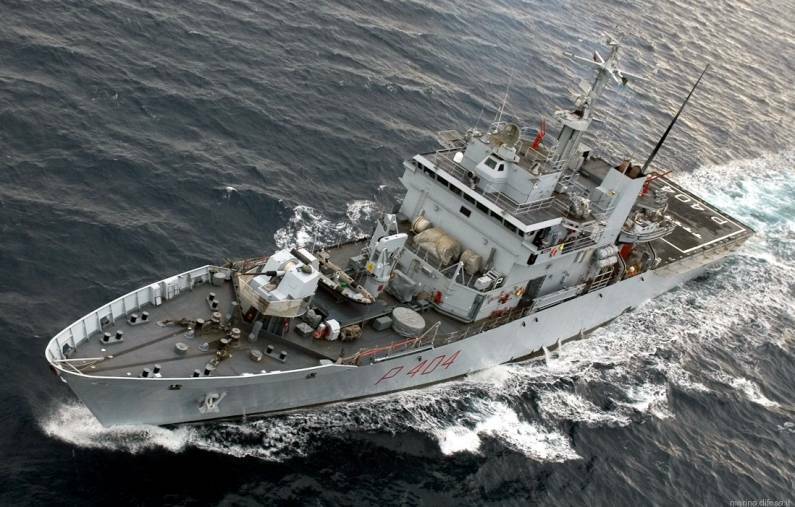 The Minerva-class were fully combatant ships to serve as coastal escorts, and equipped with modern sensors and armament, while the Cassiopea class were simpler offshore patrol vessels intended to replace the old Albatros-class corvettes used for fishery-patrol. 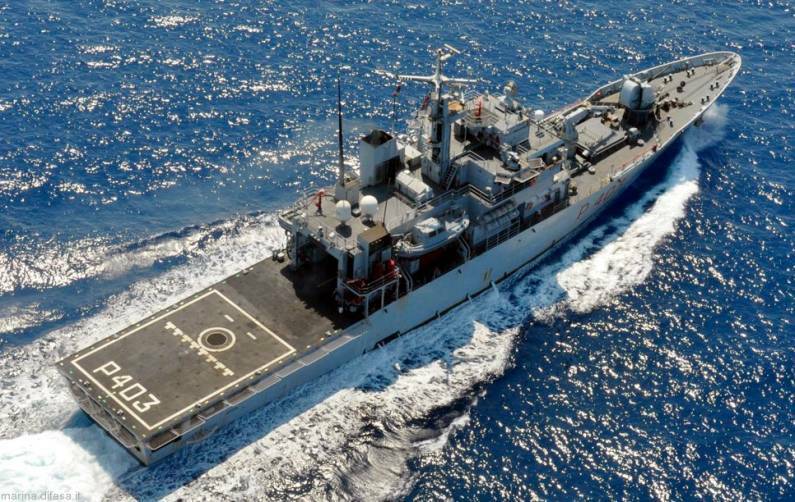 Construction of four ships (out of an originally planned eight) was authorized in December 1982, with funding coming from the Ministry of Merchant Marine, while orders were placed in December 1986, with construction at Fincantieri shipyard, Muggiano to merchant ship standards, starting the next year, and the first ship entering service in 1989. 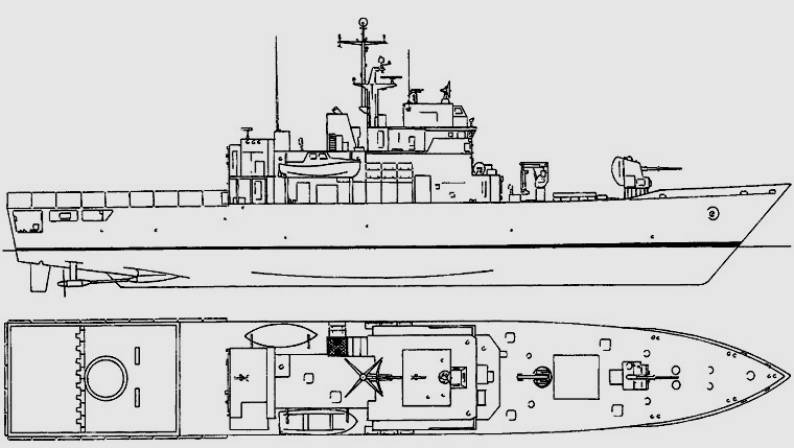 A further two ships were cancelled unbuilt in 1991. 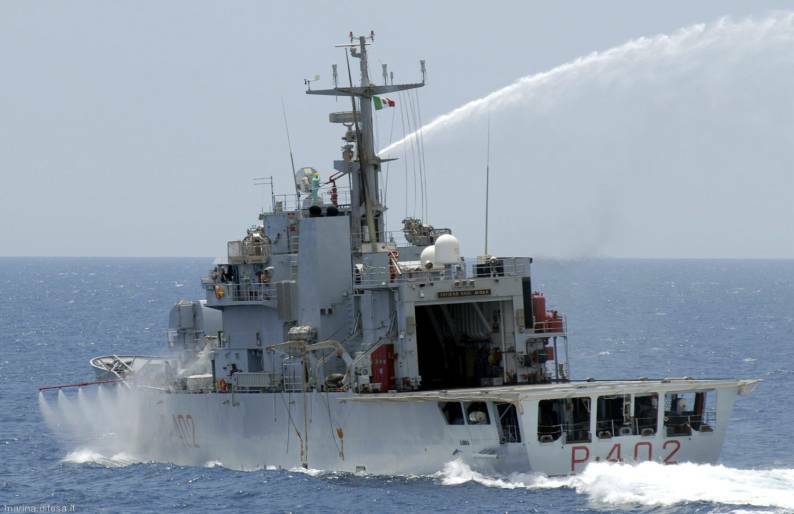 The ship's main gun armament is a single Oto-Melara 76/62 Allargato gun, with both gun and fire control systems coming used from decommissioned Rizzo/Bergamini-class frigates. 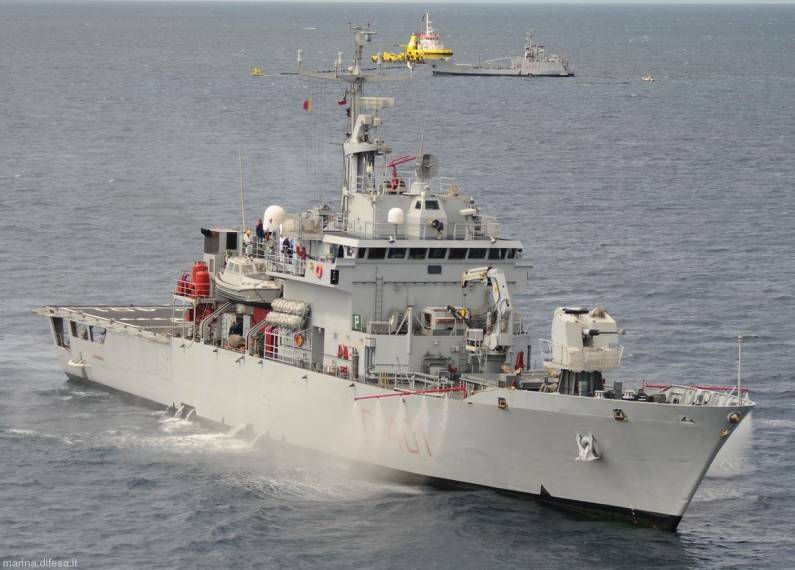 The ships are fitted with a flight deck and collapsable hangar to accommodate an AB-212 helicopter. The units can also carry anti-pollution equipment.